IF migrants decide to take flight and they likely will, they will fly right out over the Gulf of Mexico before they realize the big mistake. A strong cold front is marching steadily eastward. Associated with this front are two major factors that will affect migration. This rain will cause birds to slow down Weather and Birds and usually will cause these birds to “fallout”. If it happens, you will know! 2. Wind Shift: As this front marches east, a big wind shift is due to occur on the tail-end of this front. Southerly winds at the takeoff points (Central and South America and the Caribbean) are forecast to persist, this should trigger migration ready birds to take off. If birds do indeed take to the skies; they will meet up with this wind shift along the journey north. Wind shifts will steer birds away from the original flight path, usually putting birds down at migrant traps. 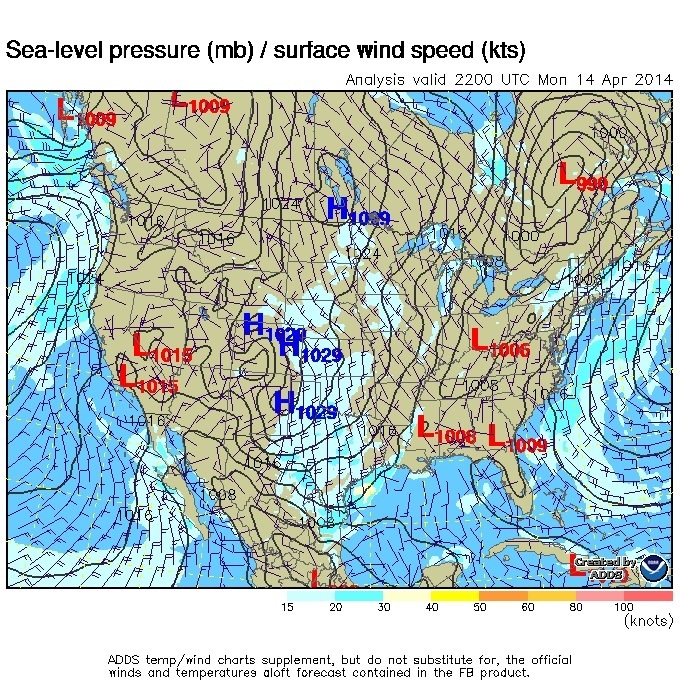 Current wind graphics for surface and winds @ 3K feet both show favorable winds for migration from the south. 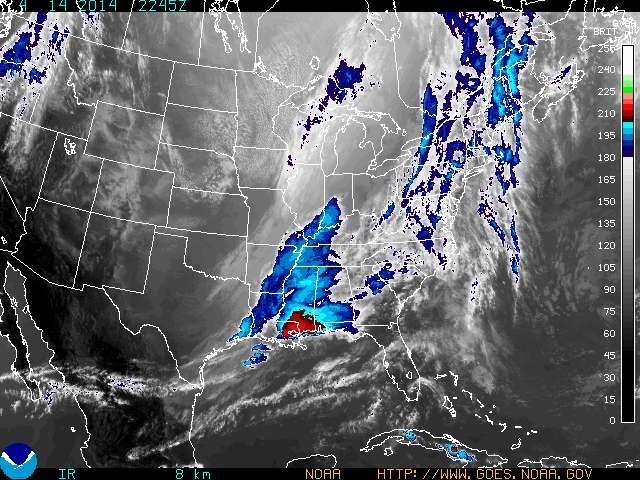 Satellite image shows clouds associated with the cold front over the Gulf States. More importantly it shows where the birds will meet up with clouds and the first effects of the front, you can also see clear skies over Mexico and the Caribbean. 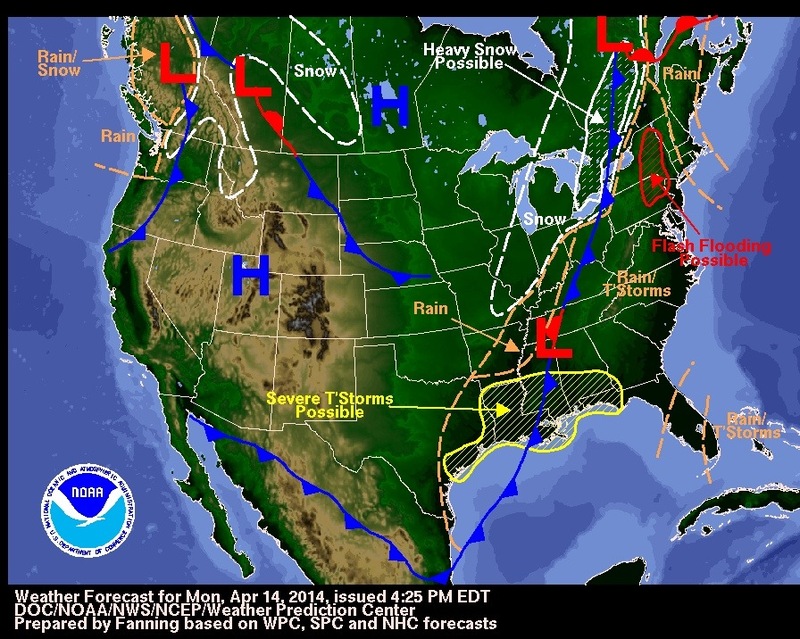 Current NWS weather map shows the location of the front. Satellite image overlay on wind map showing lower level winds. 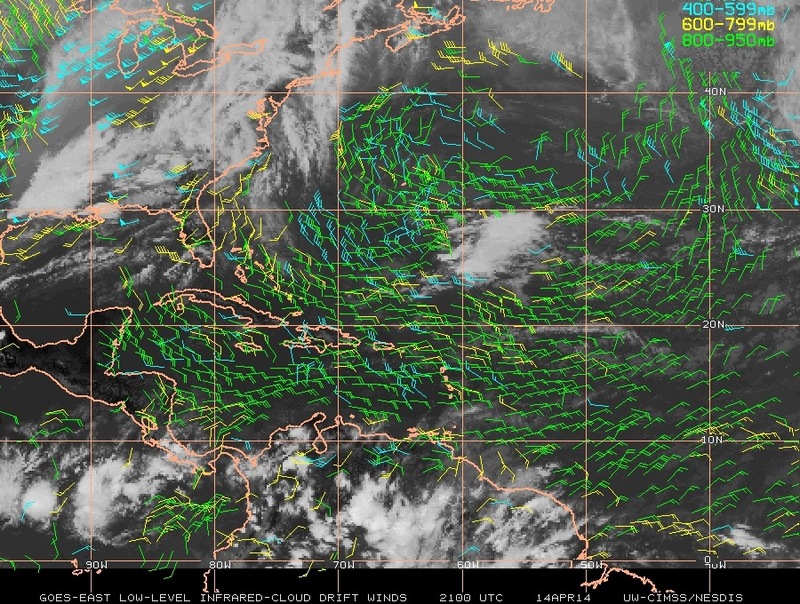 Notice the wall of west winds moving into the western Gulf of Mexico. 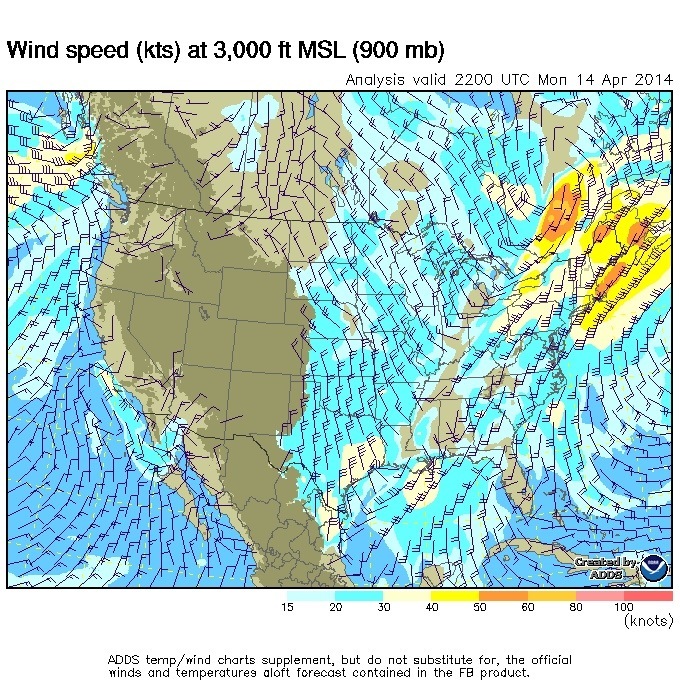 This wind shift should result in birds flying longer and harder than expected, increasing the chances of a fallout. If the Moon and the Earth are aligning for a full Lunar Eclipse tonight, then it looks likes the migration gods have lined up the chances of a fallout for west coast FL birders. Winds should shift, hard out of the west and IF birds did indeed fly north, get ready for some birding! We would expect the best birding along the eastern panhandle, the Nature Coast and south along the west coast. Spots that consistently see large numbers of birds during these types of conditions are St. George Island, St. Marks, Cedar Key, Fort De Soto, Honeymoon Island SP, Sanibel, Lake Ingraham in FL Bay, FL Keys and the Dry Tortugas. Get out there birding, dodge the rain and be safe. Have fun and find you some migrants! Yay! Ready for a new cast of brightly-colored characters.